The groov EPIC controller can control up to 16 I/O modules on a 16 position chassis. There are five steps to define those available module slots, but not yet define the actual modules that are installed on the chassis. 1. 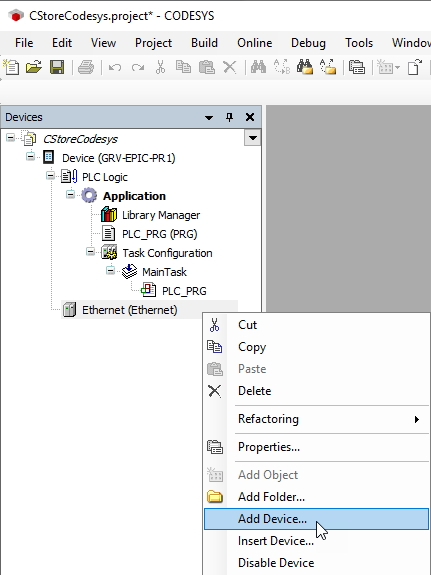 Right-click Ethernet (Ethernet), and select Add Device. 2. In the Vendor field, use the drop-down list to select Opto 22. 3. Expand the Miscellaneous tree by clicking on + if it’s not already expanded. 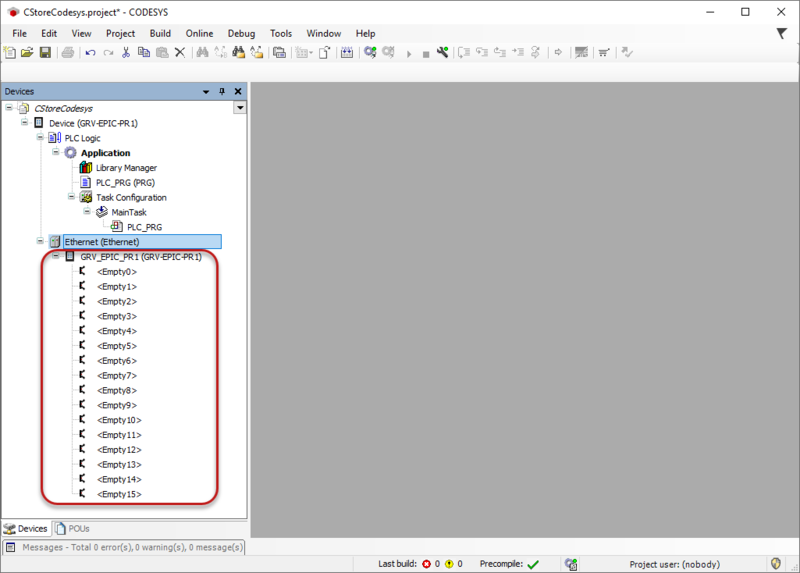 Note: the GRV_EPIC_PR1 name appears in the Name field. The possible module slots available to the groov EPIC unit are added. The groov EPIC unit can accommodate up to 16 modules if it is mounted on a 16 position chassis. Note: Even if you have a four position chassis, the 16 module slots are shown. 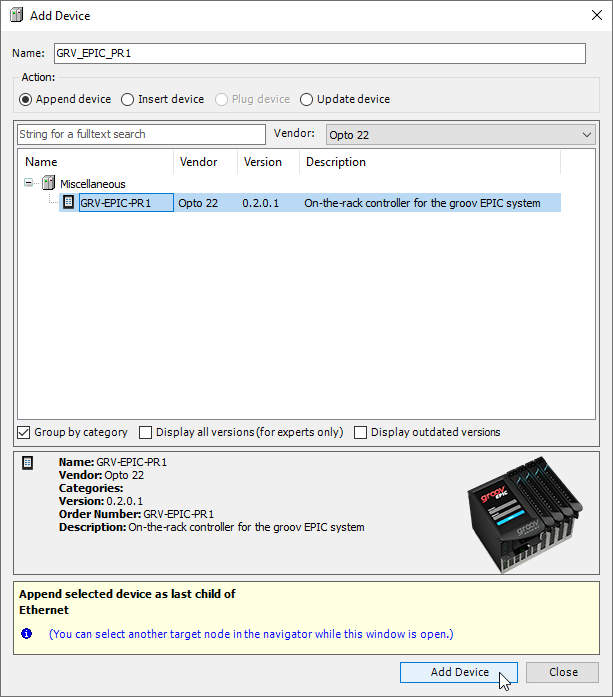 You’ve now added the GRV-EPIC-PR1 to the hardware tree. The next step is to communicate between your computer and the controller. Steps to define the module slots for the groov EPIC.